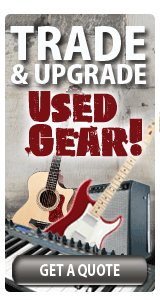 Ventura, Santa Barbara and Thousand Oaks' premier local, independent dealer for guitars, amps and music instruction! In the age of big-box retailers and mega-webites Instrumental Music stands as your truly unique alternative to the impersonal, no-service, no-love world. Since 1979 our staff of musicians and consultants have built long-term relationships with our customers in Ventura and Santa Barbara counties by offering competitive pricing and unbeatable service. Browse our site for information then drop by one of our stores and meet our people and actually try the gear out before you buy-it! 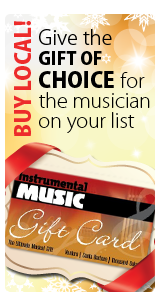 At Instrumental, you get the guaranteed low prices you expect and the service you deserve. Be sure to sign-up for our e-mail alerts! We will not share your info and you'll be the 1st to know about our events & sales. Save 50% on Fender clip-on guitar tuner!